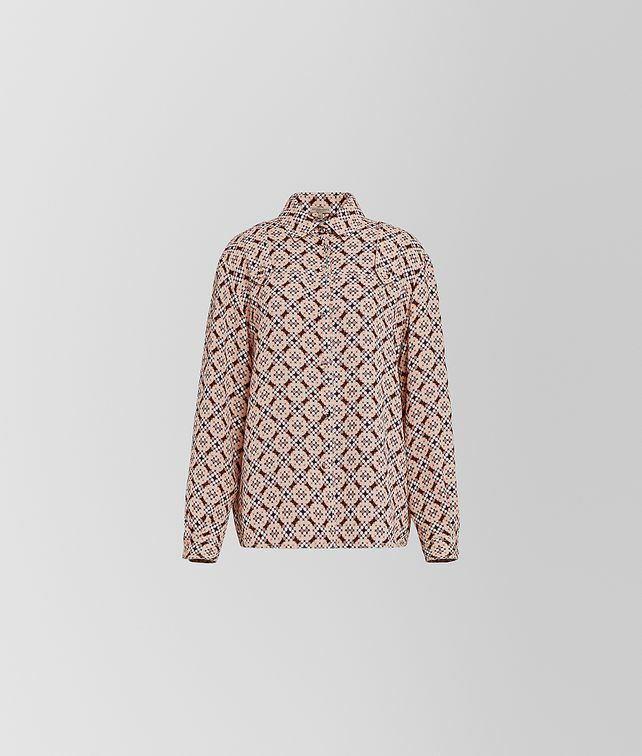 This button-up shirt is made of silk georgette patterned with a trompe l’oeil wallpaper motif made up of tiny dots. It is detailed with buttoned tabs at the shoulders. The shirt is designed to mix and match with the lively prints of the collection.